Shadowrun is the equivalent of playing Dungeons and Dragons in which the computer rolls the dice for you to determine the outcome of your character’s actions. 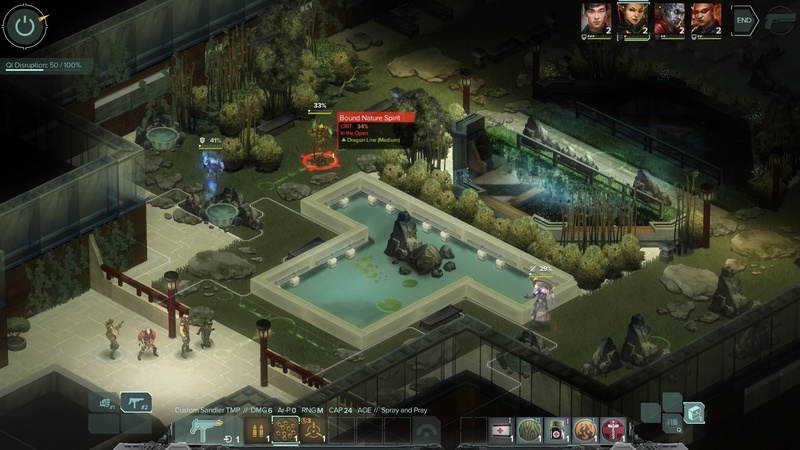 Harebrained has created other campaigns on Steam such as the acclaimed Chronicles and Dragonfall storylines. This time, the protagonist will be experiencing vivid dreams that all point towards the Walled City, a slum taken over by crime syndicates, implied to be the source of an evil lurking within. Living as an outcast, the player has to guide their party of SINless Runners through Hong Kong, being only concerned about their survival. 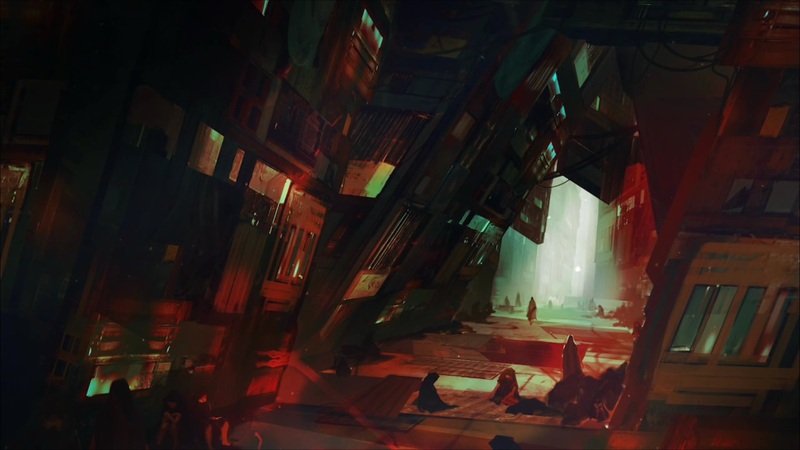 The backgrounds are bright and flashy, to give off the impression of a futuristic city. It’s always raining for some reason, but the area will light up as you walk around to make navigation a breeze. You can talk to shopkeepers and enter buildings as indicated by certain icons, as the orange diamond points to where you need to go. In the beginning, you are reunited with your adopted brother, Duncan Wu to find out what happened to your foster-father, Raymond. 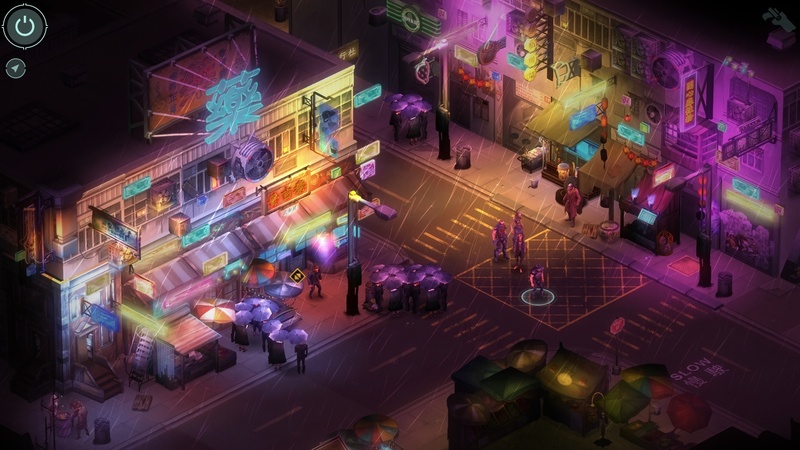 Shortly after arriving on the docks of Hong Kong, you meet up with some hired Shadowrunners only to get ambushed by the police who have labeled you a wanted criminal. As luck may have it, you and Duncan follow the survivors into a sewer, just in time to decide on the next course of action: burning your records and forming a party with Gobbet and Isobel. These two have been working in the shadows for Kindly Cheng, a Triad boss who can ensure you have the connections to survive in Heoi. 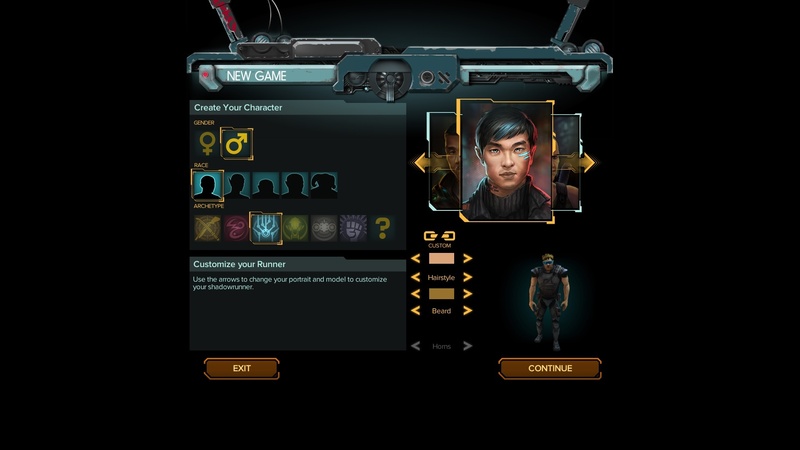 In Shadowrun: Hong Kong, you start off by creating a character using their somewhat restrictive stat builder. You have the freedom to choose your gender, race, and combat style, which I’ll explain later. You are given 29 Karma points to spend on base stats which are: Body, Quickness, Strength, Intelligence, Wisdom, and Charisma. Each race has its own advantages with humans being average in all aspects. Elves are fast runners and orcs are stronger in physical fights. As for your appearance, there isn’t much to customize besides the basic hair and skin colors, but at least the painted portraits do reflect the cyberpunk aesthetics. Archetypes in Shadowrun are akin to skill trees. You can become a Shaman, a Street Samurai, a Spell Caster, or even a Rigger. To do so efficiently, you would need to level up in that specific area instead of trying to make your Shadowrunner well-rounded. Otherwise, this could jeopardize your party’s success in higher level missions. Adding to your base stats further unlocks specialized combat skills. For instance, raising quickness will improve the accuracy of your guns. Body is also an indicator of your endurance (HP). Wisdom is necessary for Qi Casting and so forth. Karma is gained through missions or doing fetch quests for street NPCs. Nuyen is the in-game currency reward you earn as you complete missions from either the Job Directory or by taking requests from Kindly Chen. You’ll need money to buy better gear from vendors who sell a wide range of essentials like medical supplies for healing, gun upgrades (i.e. pistols, shotguns, SMGs), spells for summoning spirits, decking programs, or drones for combat. 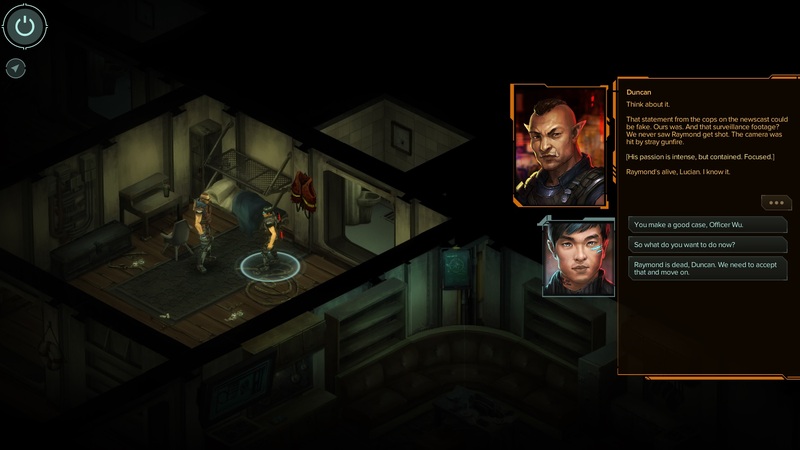 In Shadowrun: Hong Kong, you have some dialogue choices that determine your personality and how you handle sticky situations. You can learn more about your party members by talking to them after missions. Your character isn’t a blank slate by any means, so you are expected to craft a backstory for them when prompted to. Sometimes, you have to be persuasive to bypass security guards or convince some gangsters to leave so you can gain access to a new area. Just remember that there are multiple ways to complete a mission: Brute strength can get you quite far, though there are some consequences for killing bystanders. You don’t have to fight through every obstacle. Some fights can be avoided if you have the right kind of etiquette to deceive your enemies. For example, Academic lets you gain knowledge of mission items or the history behind a certain event. Once you’re all settled, you are welcome to establish your home base of operations in the Bolthole, a “safeboat” that houses the other party members. You have a mission computer for receiving new requests from Kindly Cheng or to accept jobs that often involve destroying property, killing security forces, infiltrating corporations and so on. 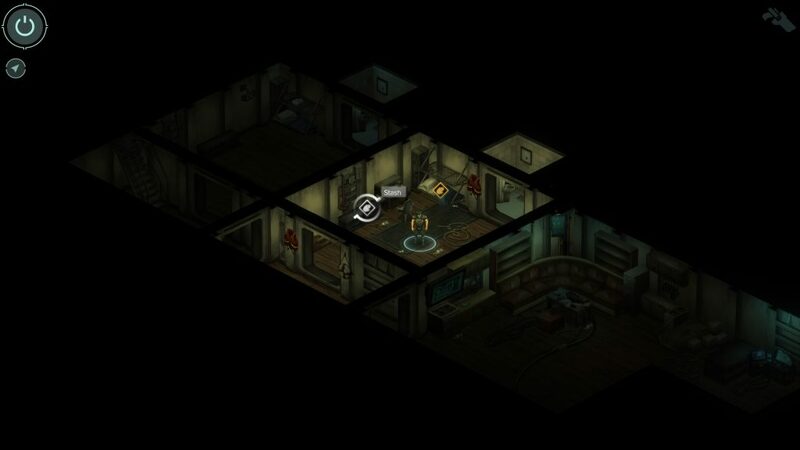 Leaving behind your old life in Seattle, you’re granted a temporary residence in Heoi along with Gobbet, a rat Shaman, Is0bel, a skilled Decker, and some weird Russian guy. You can heal back to full by resting or talk to your teammates about any runs you’ve completed. The stash is where you store all your gear, from consumable items to spells. If you are running low on Nuyen, there is a Shadowland BBS which works like auctioning. Here, you can sell pay data obtained from hacking terminals on enemy turf. You’ll receive new emails on the whereabouts of Raymond from time to time. 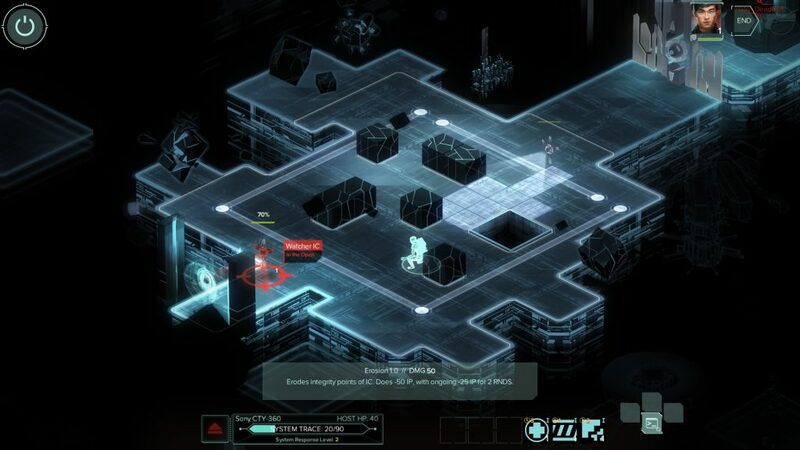 You will use only the mouse to move your characters since the entire Shadowrun world is generated in grid squares. Each square counts as a single step, which becomes important during tactical combat. Your movement speed is limited by the race you chose at the start. Before starting a mission, you have the opportunity to choose your teammates. Of course, for-hire mercenaries can cover other bases, whenever your party is lacking a Rigger or a Spellcaster. Being prepared also means bringing along Doc Trauma Kits and Medkits to keep everyone alive in a shootout. Duncan: He is a former police officer nicknamed Lone Star. He specializes in security and uses an assault rifle to deal heavy ranged damage to enemies. His rifle hits 1-3 times but his targeted shots are more accurate than the multi-shots. Gobbet: She is a rat Shaman and SMG user. She has a Heal Wound spell for restoring health and a Poison Fog spell to do area of effect damage against crowds of trash mobs. She is able to summon nature elementals as temporary allies. Is0bel: She is the Decker of the group. A sharp-witted dwarf who wields both a pistol and a grenade launcher. She starts with three programs for her cyberdeck which is necessary for exploring the Matrix and taking down Blocker ICs. 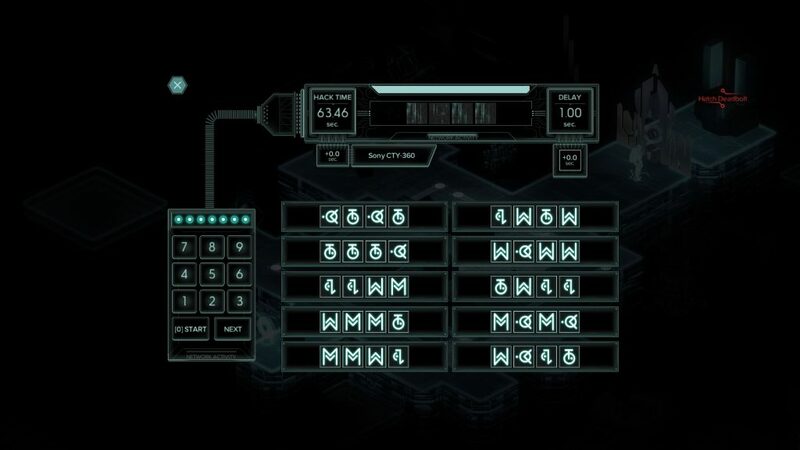 The Matrix is a virtual grid that connects multiple computer systems, identified as terminals. As a decker, I could send Seven into the Matrix to retrieve top-secret data from corporations. For me, the alarm level is easy to trigger since I often run into the ICs’ field of vision, which raises the trace level. These mini-game sections require being stealthy to sneak past the ICs, the security system deployed to fend off intruders. Portals separate different areas, usually hiding blocks of data that let you unlock doors, obtain valuable pay data, and gain admin access to bypass security cameras. 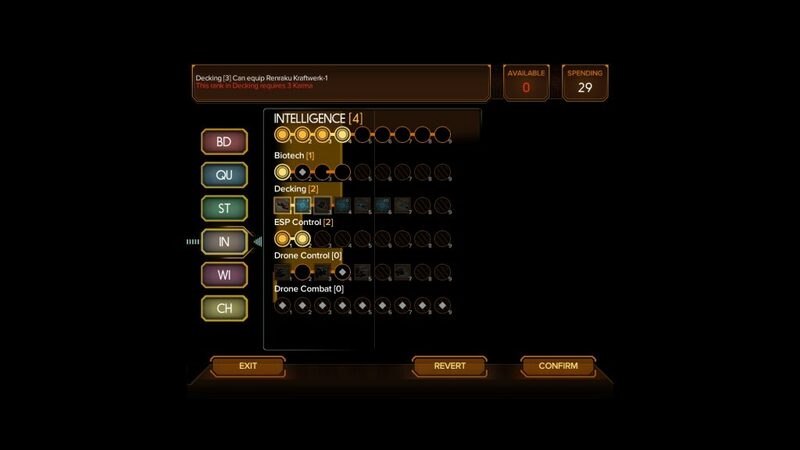 Cyberdecks can be upgraded as well, adding more open slots for programs like Medic and Shield boosts to fight against ICs and even enemy Deckers within the cybernetic interface. If your avatar takes too much IP damage, they will be forced out of the Matrix and take damage in reality. Hacking blockers would require you to memorize a sequence of numbers, followed by cracking the code itself. The Blocker IC rating indicates how many symbols you have to identify correctly. Once you succeed, you can steal valuable data from your targets. 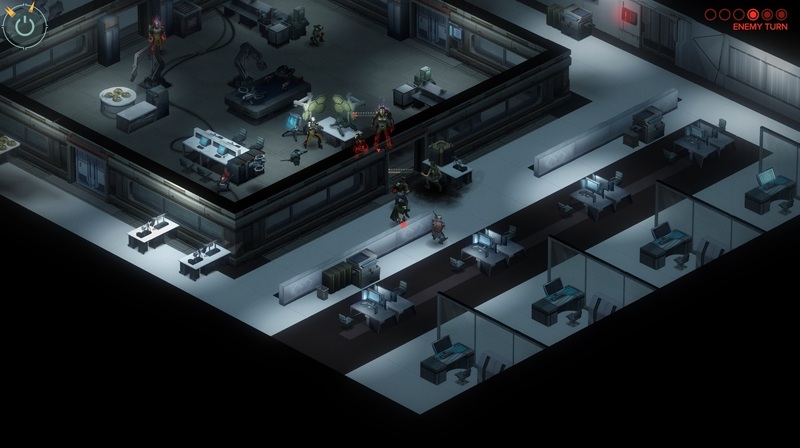 Besides hacking terminals, the core mechanic is all about turn-based RPG combat. Your party of four each get their turn to take cover and shoot, hopefully gaining a tactical advantage over the enemy team. Everyone has two action points (AP) to spend, either to get into position or use one of their abilities. Duncan is the strongest gun user as his rifle abilities let you fire up to three rounds at once. Is0bel dual-wields a grenade launcher and a pistol in ranged combat. Gobbet can hold elemental fetishes and unleash spirits to incapacitate enemies. She also has an SMG to hit crowds. You’ll later recruit a Street Samurai who fights only using a katana to do heavy melee damage. You can switch between melee and ranged combat on any of your turns. 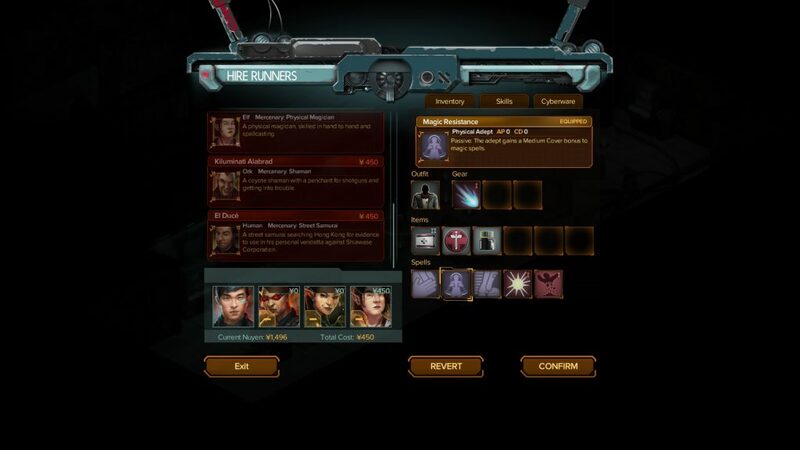 Special attacks are determined by your Shadowrunner class. Grenades and trauma kits are consumables, thus you’ll need to spend some nuyen to replenish them. Most important of all is the percentage to hit displayed above each enemy. This will indicate how likely you are to perform any attacks of opportunity. You can click on any square to move your character there if it’s close enough to do so. This should raise the accuracy of your attacks, though the enemy may flank your characters if they’re out in the open. These are all things to take into account. Deciding when to take cover would make or break a run depending on how the enemy approaches your team. It is not, by any means, easy to predict how the security forces or rival mercenaries will mobilize, but you can certainly pile on a single target with your firing squad ready to deal the fatal blow. Since the tide of battle is calculated by RNG, you will often have to resurrect downed teammates, going back to regroup and heal. 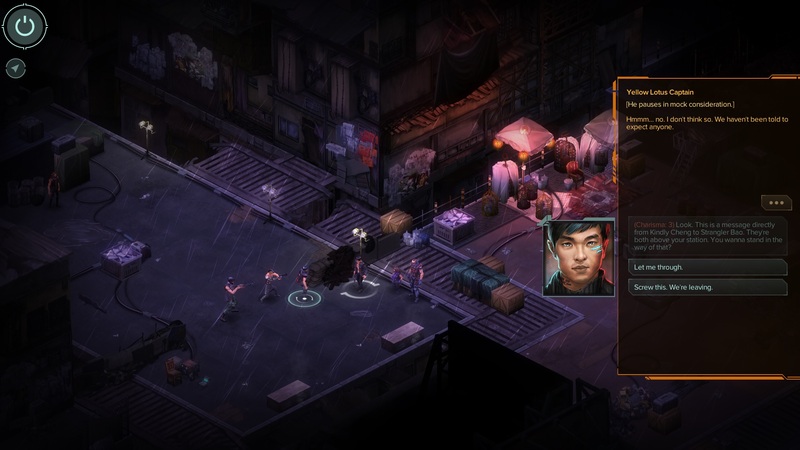 It is safe to say that Shadowrun: Hong Kong is not a game you can mindlessly hack through. Coordinating your party requires having everyone in position before they begin their onslaught. Enemies are equally responsive, hiding behind cover, and throwing their crowd control at your party.